The Wildcat was a fantastic coaster. I think it had an image problem though. I have a few friends (and a wife), who say they have never ridden the Wildcat. They thought it was a kiddie ride so they never gave it a chance. They were missing out. WildCat was a wild mouse roller coaster located at Cedar Point in Sandusky, Ohio that closed at the end of the 2011 season. Itwas an Anton Schwarzkopf Wildcat model where small cars (each holding four passengers) take many tight turns and small hills that produce negative g-forces as well as strong lateral forces. Riders must be at least 48″ tall and be able to climb down vertical ladders in the case of an emergency evacuation. 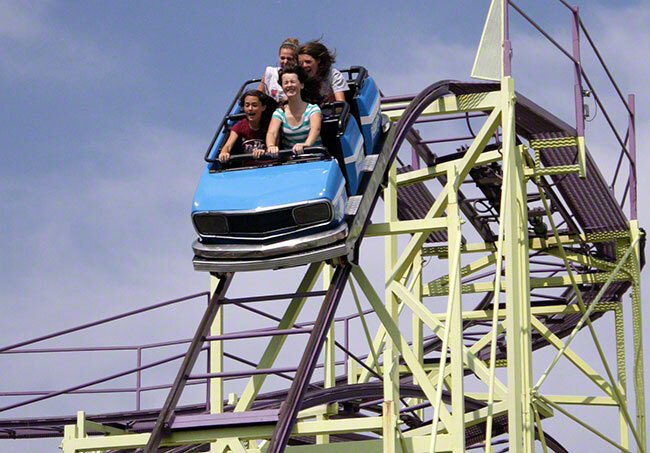 Riders were secured by a seatbelt and lapbar. At the end of the ride, riders were given a visual signal by the operator to extend their arms and hold on, as the train stops extremely quickly. WildCat was the second coaster to bear that name at Cedar Point, following the previous Wildcat, which was moved to Valleyfair in 1978. 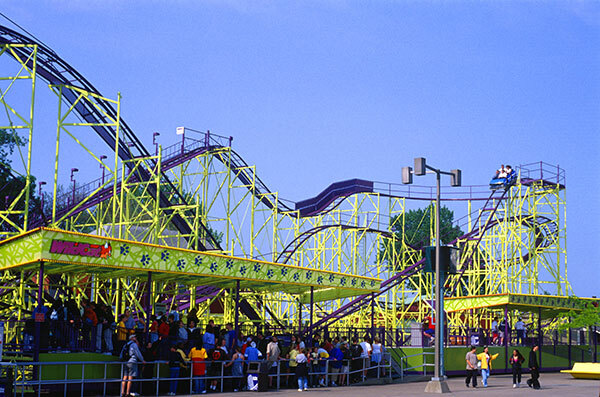 A Wild Mouse roller coaster is a type of roller coaster characterized by small cars that seat four people or fewer and ride on top of the track, taking tight, flat turns (without cant) at modest speeds, yet producing high lateral G-forces. For more about this type of coaster you can read the Wikipedia article. Enough with the Wikipedia stuff for now. I can tell you I did not ride this ride enough times to feel sorry for its loss. At the same time, I do miss it. Part of the reason I didn’t ride it very often was the line. No matter how fast the line was supposed to move, it always had a decent wait associated with it. I can say that I was just too impatient for the most part. Every time I did ride it. I loved it. It was a fast and hectic ride. Even though it only went up 50 feet and maxed out at 40 miles an hour, it was fantastic. 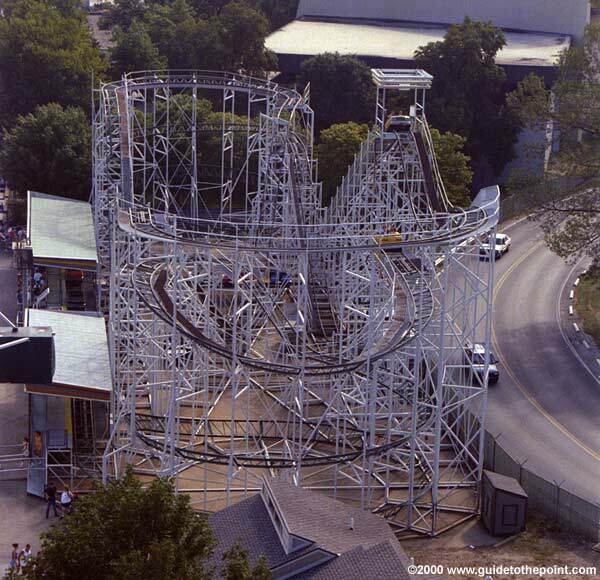 Some people have called it the best wild mouse coaster in the United States. I haven’t ridden enough of them to say that myself. Unfortunately I have no cute stories or hijinks to talk about this ride. I didn’t really goof off on it. Every time I rode it, it was a privilege. I don’t think I took for granted like The Pirate Ride or the Paddlewheel. Those were rides I thought would always be there. I guess I thought the Wildcat would always be there to. Reading articles this is the third place the Wildcat was located in the park. Can anyone fill me in on where it existed before its final location across from the Iron Dragon? Another interesting note, this is actually the second Wildcat. This one went into service in 1979 replacing a former Wildcat (different structure) that was in use from 1970 – 1978. I also wonder if this replacement is counted as one of its moved locations. 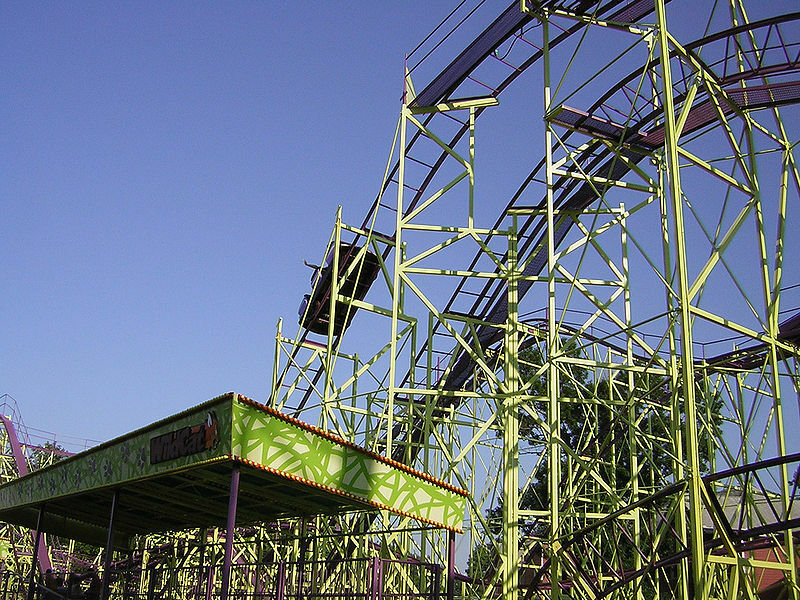 In May shortly before opening weekend it was announced that the Wildcat would be removed. If they had announced this last year, I may have made an effort to actually get to the park to ride it. That is the one thing Cedar Point needs to start doing more of. If they announced that it was the last year for a ride, those fans of the ride would show up to give it at least one last run. Unfortunately no one had the change to say one last goodbye. Cedar Point has announced that it is expanding its new Celebration Plaza. As a part of that expansion, Cedar Point will be removing the WildCat roller coaster. This expansion is one of several initiatives that will beautify the park midways and enhance guests’ experiences. Additional improvements include state-of-the-art lighting packages on Giant Wheel, Millennium Force and Power Tower, a new sound and lighting system along the park’s Main Midway and the re-painting of the Millennium Force and Blue Streak roller coasters. Cedar Point remains committed to being the roller coaster capital of the world. New roller coasters, rides and attractions will always be a part of Cedar Point’s future. The first WildCat was located in the area where the Windseeker is now located. That roller coaster was sold and a new incarnation replaced the old Jumbo Jets – now the former Avalanche Run / Disaster Transport (which is why it moved to its final location).